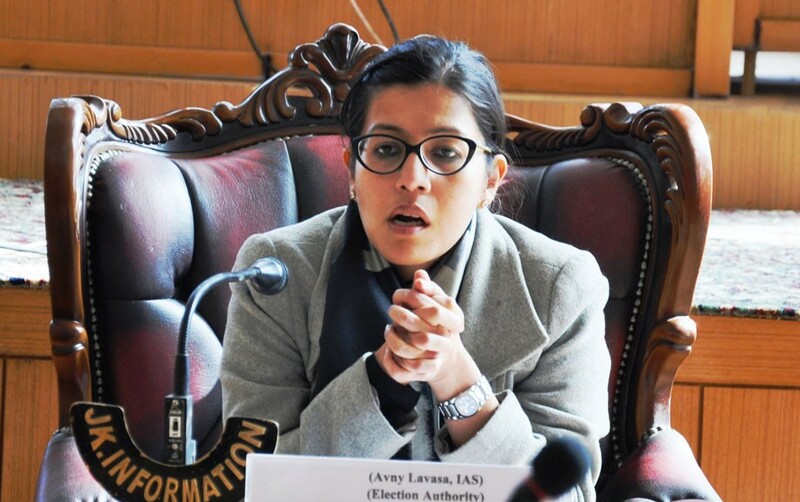 Returning Officer, 4 Ladakh Parliamentary Constituency, Avny Lavasa issued the notice of nomination on April 10. As per the notice, nomination paper of candidates for the forthcoming Lok Sabha election in the 4 Ladakh Parliamentary Constituency need to be delivered by a candidate or any of his/her proposers to Returning Officer at the office of Deputy Commissioner, Leh near Polo-ground or to Assistant Returning Officer, Kargil at the Dak Bungalow, 1st Kargil between 11:00 AM and 3:00 PM on any day (other than public holiday), not later than 3:00 PM on April 18. Forms of nomination paper may be obtained at the places and time aforementioned. The notice reads that nomination papers will be scrutinized on April 20 at 11:00 AM and withdrawal of candidature may be delivered either by a candidate or by his/her proposers or by his/her election agent who has been authorized in written by the candidate to deliver it to either at the office of Returning Officer (Deputy Commissioner, Leh) or Assistant Returning Officer, Kargil before 3:00 PM on April 22. It is also mentioned that in the event of the election being contested, the poll will be held on May 6, between 7:00 AM to 6:00 PM.